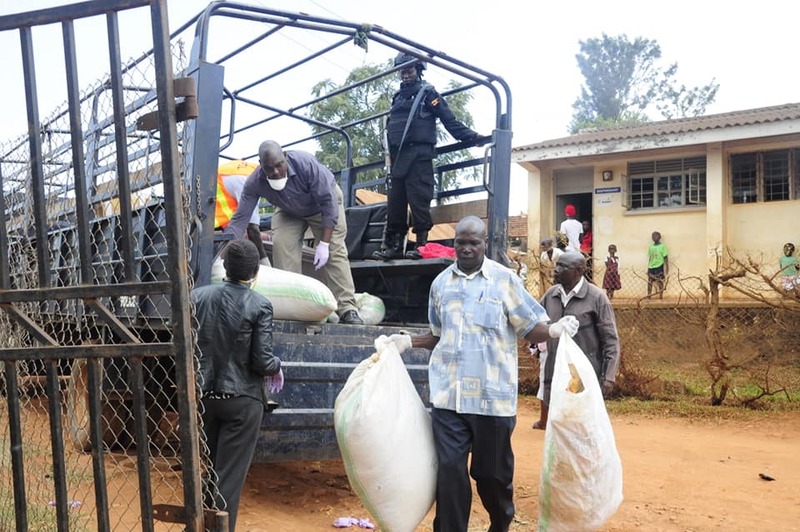 The Anti-Narcotics Department of the Ugandan Police Force has set ablaze 618 kilograms of narcotic drugs impounded from traffickers in country. The assortment of destroyed drugs according to police was worth $2.8 million. Police authorities said that the illicit drugs were seized from Entebbe Airport and other border points since 2015 by aviation police and anti-narcotics detectives. The drugs destroyed on Thursday include 68.57kgs of heroin, 16.50kgs of cocaine, 4.0kgs of methamphetamine, and 12.422kgs of marijuana among others. Before setting the drugs on fire the Deputy Inspector General of Police, Maj Gen Muzeyi Sabiiti said trafficking in narcotics is one of the most serious organized crimes that has a negative global impact if not checked. “These crimes are committed by criminals that are highly organized and their activities have global impact on society they operate in. If not checked, drugs can disrupt social order. That is why every effort is made by countries to have these crimes stopped. We have created a department of anti-narcotics to specifically deal with crimes arising from drug trafficking and abuse. This shows how the government and the police leadership are determined to ensure that the population is protected from crimes arising from drugs," he said. The drugs had been seized in 52 cases with drug traffickers at Entebbe Airport and other parts of Uganda. But by the time the drugs were destroyed, none of the drug traffickers from whom they were seized was in jail as all had paid a fine and eventually freed.